Who's special in your life? Make a gift in their honor. Make a gift to celebrate someone you love for Mother’s Day, Father’s Day, graduations, birthdays, and other special occasions. Tribute and memorial gifts help grow our Generation Fund, which is invested for long-term growth and lasting impact on library needs. 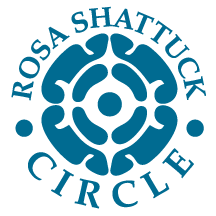 Donors who give $1000 or more become members of the Rosa Shattuck Circle and receive access to special benefits throughout the year. The Berkeley Public Library Foundation is a registered 501(c)3 nonprofit organization. Thanks, Mom and Dad for reading me all those great books! We are donating in honor of Martin Boris Friedman to support his desire to make the public library extraordinary! We are donating in honor of our dear friend, Martin Friedman, who was a staunch supporter of the library. Martin Friedman was a great lover of the Berkeley Public Library, as are we, and we would like to honor his memory by donating. This donation is in memory of Martin Friedman, and old and admired friend who loved books and libraries. 45 years ago I spent countless hours in the main library's children's floor. to this day treasure everything about the library. thank you!